The newest U.S. missile warning satellite has sent back its first images, known as "first light." 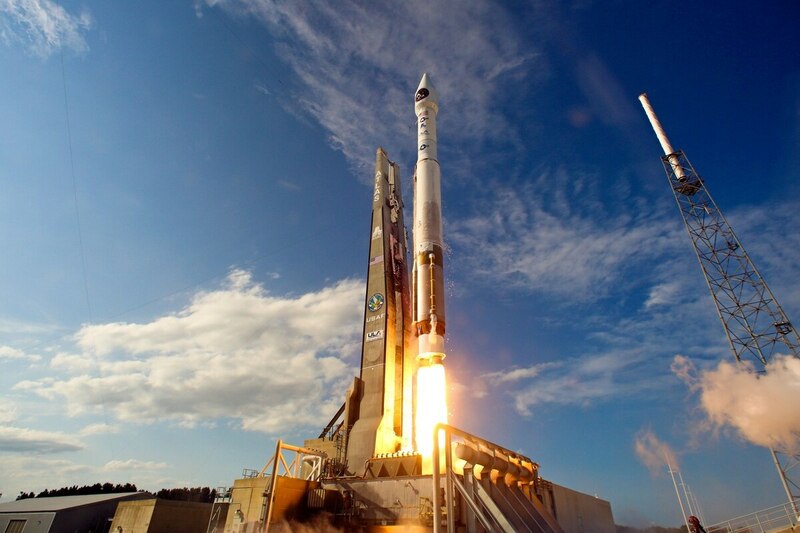 The GEO 3 Space Based Infrared System, or SBIRS, satellite was successfully launched Jan. 20 into geosynchronous orbit. "The satellite successfully completed deployments of its sun-tracking solar arrays, antenna wing assemblies and light shade," according to a Lockheed Martin news release. "With the satellite successfully on orbit, we are now working to ensure GEO Flight 3 continues the outstanding performance trends demonstrated by its predecessors, including better-than-specified sensor pointing accuracy and the ability to detect dimmer targets than expected," said David Sheridan , vice president of Lockheed Martin's overhead persistent infrared systems division. GEO 4 is scheduled for launch later this year. Welcome to the Pentagon’s ‘Space Week.’ Will it define the department’s future in orbit? Colorado emerges as front-runner for Space Command HQ. Do other states still have a chance?